New business opportunities from existing and prospective clients are an essential element in the formula for success of any financial institution. New client acquisition through referral development, COI marketing and networking are always three of the primary areas of strategic focus for financial executives. 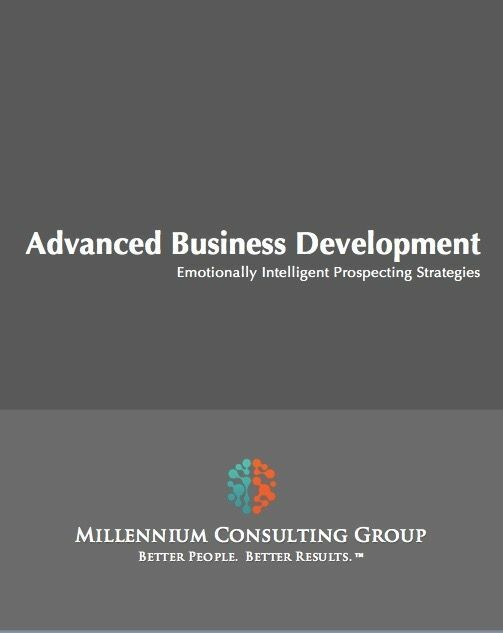 Our Advanced Business Development program is laser focused on the prospect origination and referral creation processes. Specifically, the program introduces participants to the most effective referral, networking and COI-based growth strategies available to the financial professional.